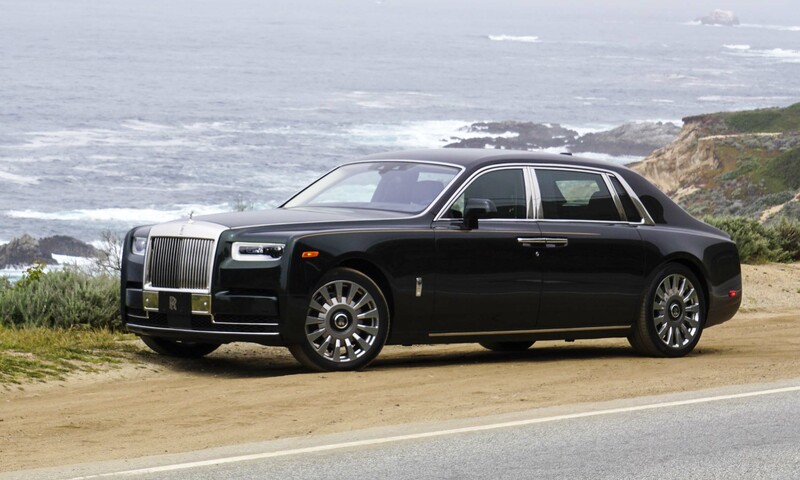 If the name Rolls-Royce is synonymous with luxury automobiles, then the Phantom — first introduced in the 1920s — is the pinnacle of that automotive mountaintop. Following in the footsteps (or wheel tracks) of Phantoms that have come before it, the new Phantom is a contemporary design interpretation of the Rolls-Royce flagship sedan. This eighth-generation Phantom adopts subtle exterior design refinements, ultimate interior refinement and unprecedented cabin quietness as the most sophisticated and technologically advanced Phantom ever. 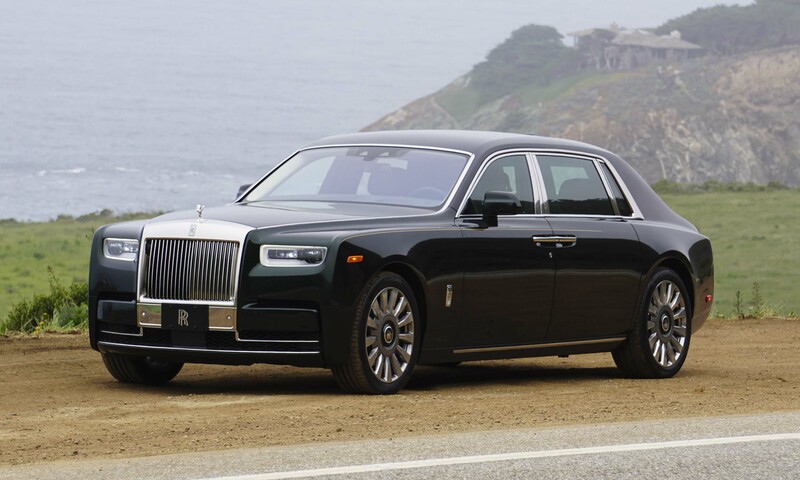 Easily recognizable as the Rolls-Royce flagship, the new Phantom possesses an imposing presence that is unapologetically elegant; and while there is nothing subtle about this car, at the same time it is extremely refined. The Rolls-Royce Pantheon grille and Spirit of Ecstasy hood ornament have been symbols of Rolls-Royce for decades. 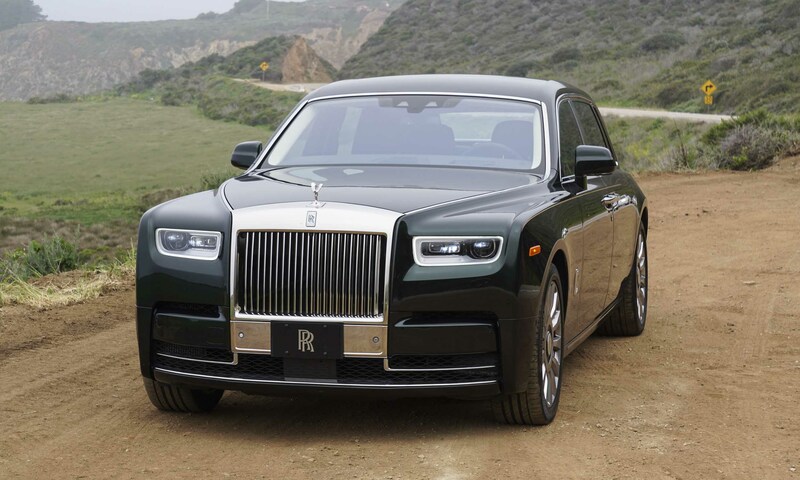 For the new Phantom, the grille has been more integrated into the front of the car, not protruding forward as much as the previous model, but also raised higher. The Spirit of Ecstasy now sits about half an inch higher than the previous Phantom, and there is no longer a center line in the hood. The grille gets fabricated from hand-polished stainless steel. Viewed in profile, the new Phantom sits back on its haunches, accentuated by a short front overhang and long rear overhang. 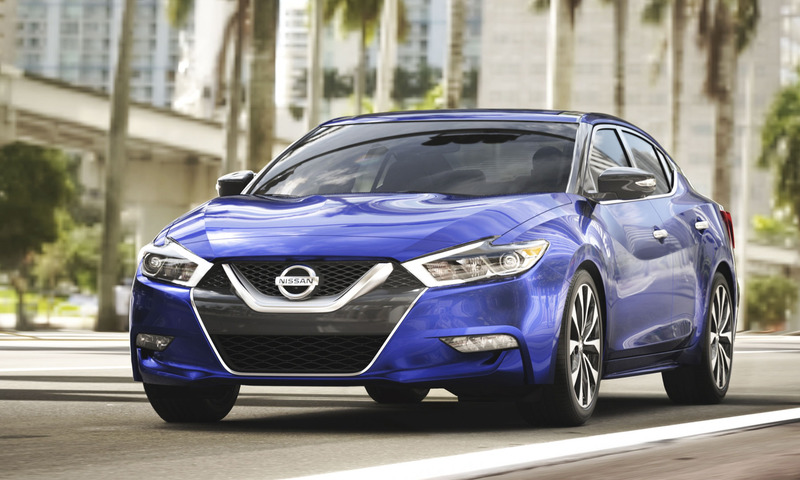 A line flowing back from the upper edge of the front fender fades into the rear door. Window trim and door handles are also polished stainless steel. The rear window and decklid have more of a slope than the previous model — a nostalgic nod to earlier Phantom models from the 1950s and 1960s — as well as subtle creases in the decklid. 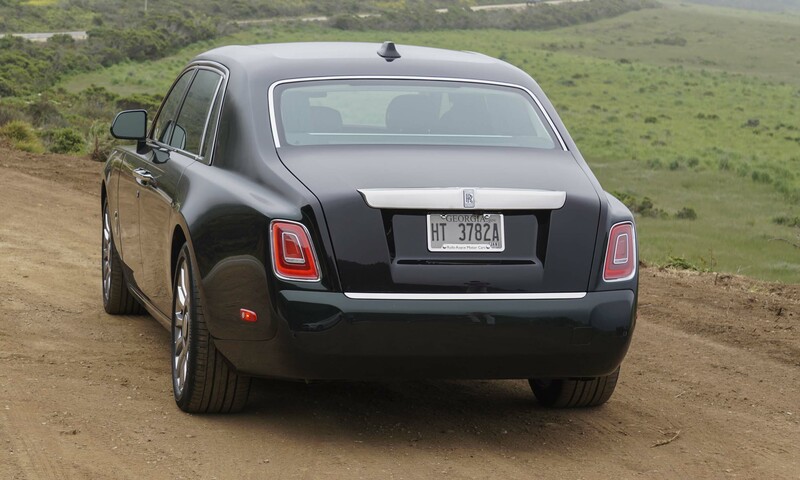 The rear lights include etched Double-RR badges, and the decklid is finished with polished stainless trim as well. Built on a new all-aluminum architecture developed and engineered to incorporate the latest technological advances, this eighth-generation Phantom is lighter, stiffer and quieter than the previous generation. A new Architecture of Luxury debuts with this Phantom, designed to be a scalable platform and the basis for future Rolls-Royce models. Rolls-Royce refers to the experience of being in a Phantom as the Magic Carpet Ride, which evolves with this new Phantom to higher levels of comfort and refinement. 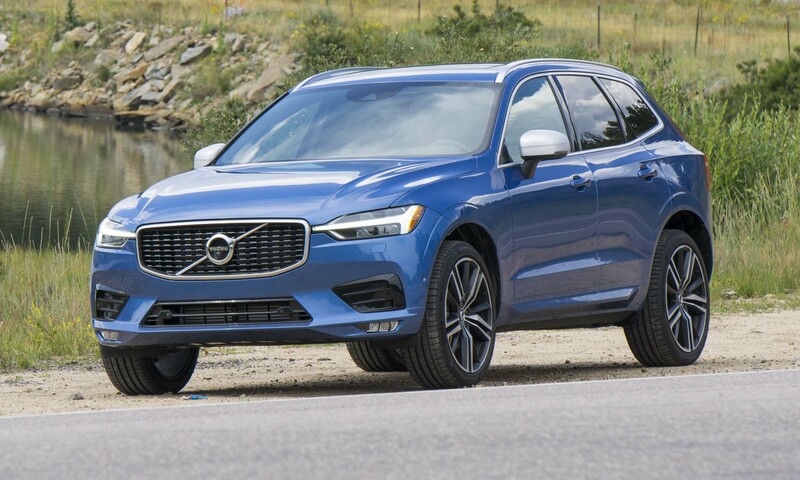 New double wishbone front suspension, 5-link rear suspension, self-leveling air suspension, 4-wheel steering and electronically-controlled shock absorbers all contribute to providing occupants with the most undisturbed ride, regardless of road conditions. 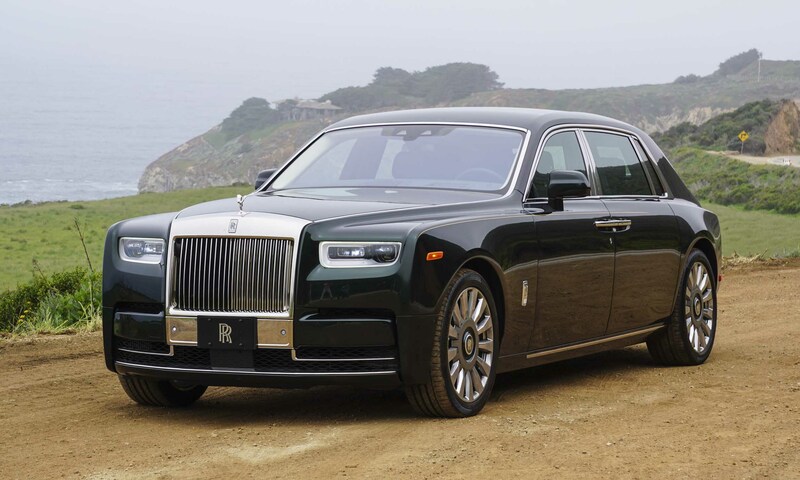 Phantom designers focused on creating the most silent car in the world, with two-layer glass throughout the vehicle, almost 300 pounds of sound insulation, cast aluminum joints in the body for improved sound isolation and high sound-absorption materials. The new Phantom features double-skin alloy in the floor and bulkhead, as well as high absorption materials in the headliner, door and trunk. Specially-designed Silent-Seal tires include a foam layer inside to reduce tire noise. 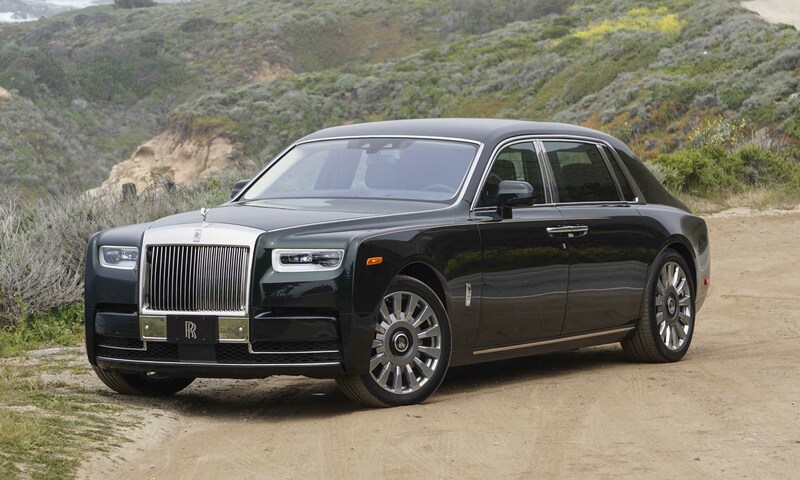 The new Phantom offers the choice of a standard length or an extended-wheelbase version that adds 8.7 inches to the wheelbase and overall length — all of which gets added to the rear-seat area. Phantom does not offer specific trim levels since virtually every car will be tailored to the specific preferences of the buyer. Colors, materials, finishes and virtually any detail can be specified by the purchaser, and essentially no two Phantoms will be the same. The starting MSRP for Phantom is $450,000, with the Phantom extended-wheelbase starting from $530,000. 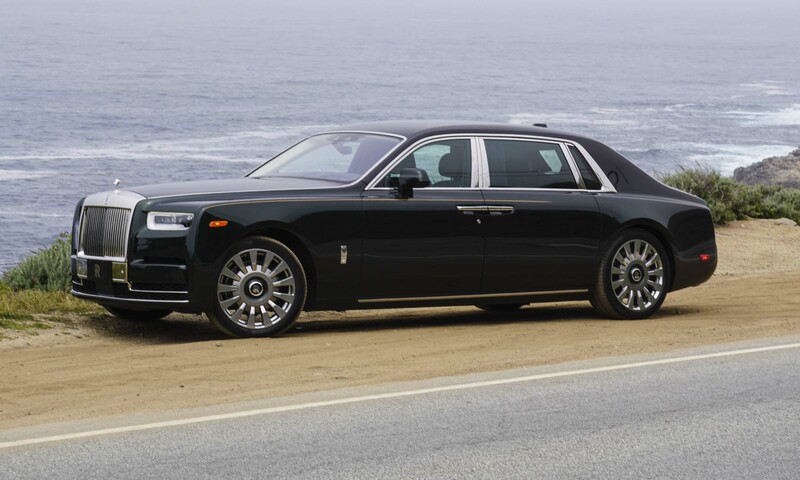 A Rolls-Royce V12 engine is inherently smooth by design, and this new 6.75-liter twin-turbo V12 unit that powers the new Phantom combines refinement and high output, with a focus on low-end power for smooth, quiet operation. 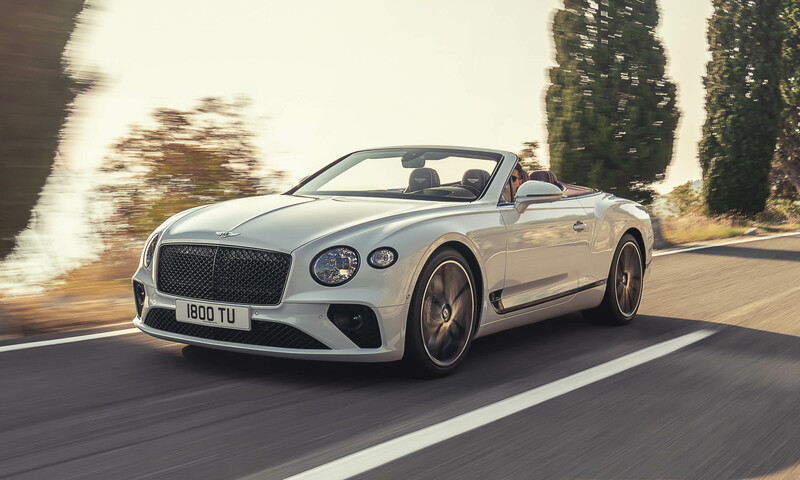 Producing 563 horsepower and 664 lb-ft of torque starting at 1700 rpm, the powerful V12 is combined with an 8-speed ZF transmission using satellite data to adjust performance for specific terrain. Rolls-Royce casts the experience of riding in a Phantom in a romantic light, calling the experience The Embrace — surrounded by the finest materials available in any automobile, and emphasized by each of the four doors closing automatically with the touch of a button. The interior design is influenced by the 103EX concept, the door armrests by the J-Class Yacht, and the wood on the front seatbacks by the Eames Lounge Chair of 1956. The seats are a new design handcrafted for more comfort, and switches are made from metal, glass or covered in leather. When not in use, the power-deployable picnic trays and rear-seat monitors get stowed behind the wood of the front seatbacks. Rear seating choices include Lounge Seat, Individual Seats with occasional armrest, Individual Seats with Fixed Centre Console and the Sleeping Seat. The new Fixed Rear Centre Console incorporates a drinks cabinet with whiskey glasses and decanter, champagne flutes and coolbox. The Phantom Suite with heated surfaces works in conjunction with the heated seats and includes front door armrests, a front center console lid, a lower C-pillar, rear side armrests with all Individual Seats, and a rear center armrest. 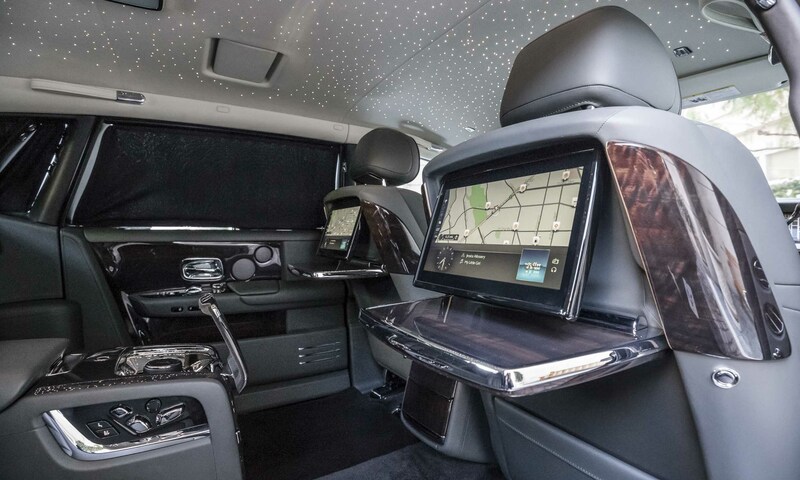 The Starlight Headliner is the largest ever offered in a Rolls-Royce. A new addition to Phantom is The Gallery — tempered glass across the entire front of the dashboard housing the instruments in front of the driver, and creating space to display artwork for the front-seat passenger. Designs from silk, wood, metal and leather have already been pre-created, but owners may also select an artist or designer to work with Rolls-Royce on an individual work of art to be displayed in the space. 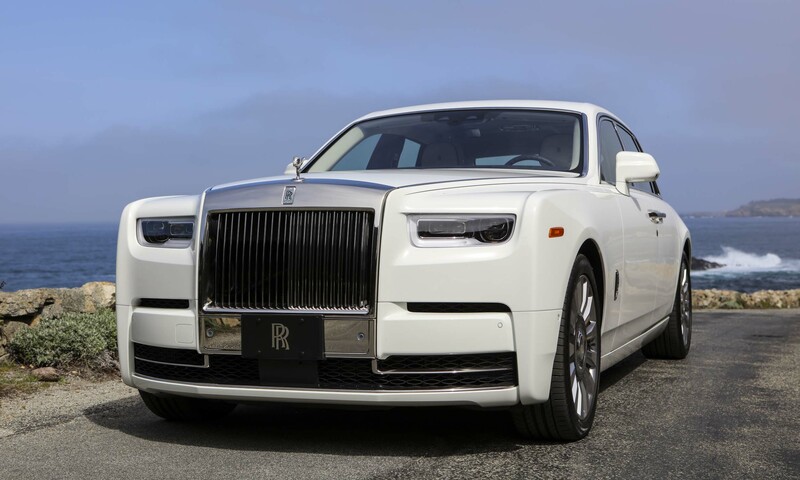 The Electronic Architecture of the new Phantom — the system that connects and controls the advanced electronic systems — is the largest component ever produced by the BMW Group, and it makes this new Phantom the most technologically advanced Rolls-Royce ever. Some of the systems include Alertness Assistant; a four-camera system with Panoramic View, all-round visibility including helicopter view, Night Vision and Vision Assist; Active Cruise Control; collision warning, pedestrian warning; cross-traffic warning; lane departure and lane change warning; High-resolution head-up display; Wi-Fi hotspot; and the latest navigation and entertainment systems. 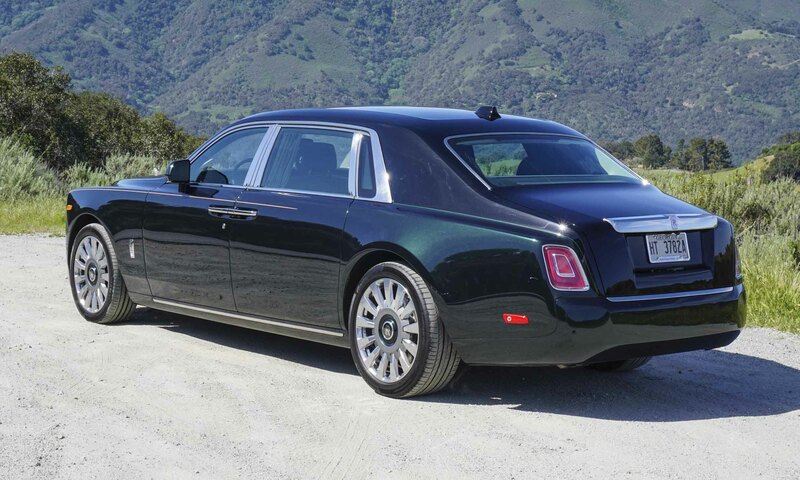 Many Phantom owners — at least on some occasions — will hire a driver so they can travel in relaxed comfort or use the rear seat as a mobile office. 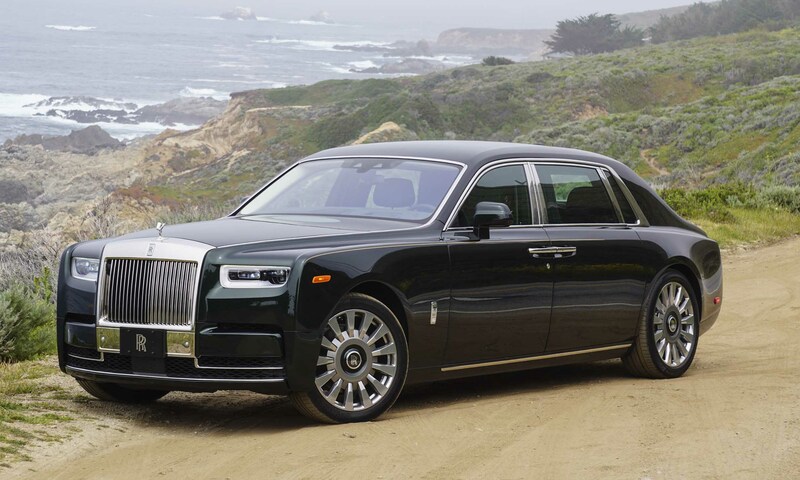 Members of the automotive press had the opportunity to do the same during a test drive, experiencing the Phantom as both driver and rear-seat passenger. Sitting in the comfortably contoured seat surrounded by the finest luxury materials on every surface, we have to agree that Phantom truly is the quietest and most refined automobile ever experienced. Insulated from the outside world in vault-like quiet, the Phantom isolates passengers from rough roads and external noise, cosseting occupants in an environment that is automotive art. 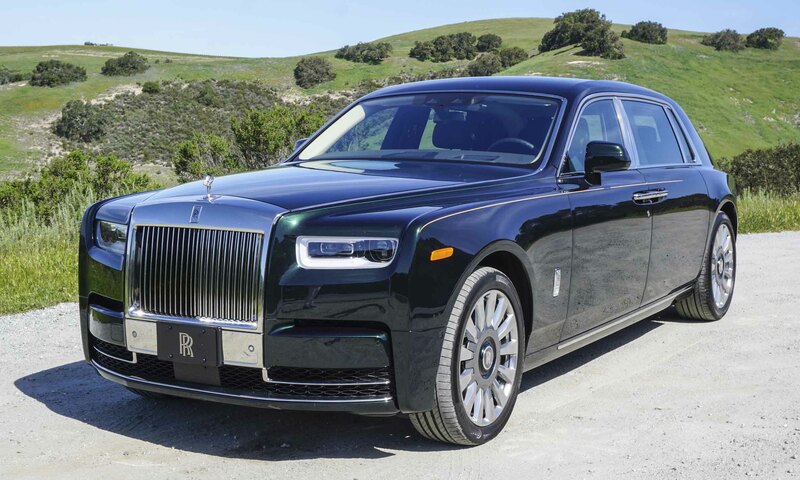 Whether it’s the aura of Rolls-Royce, the imposing size of the vehicle or the half-million-dollar price tag, sliding into the driver’s seat for the first drive in this new Phantom is admittedly a little intimidating. 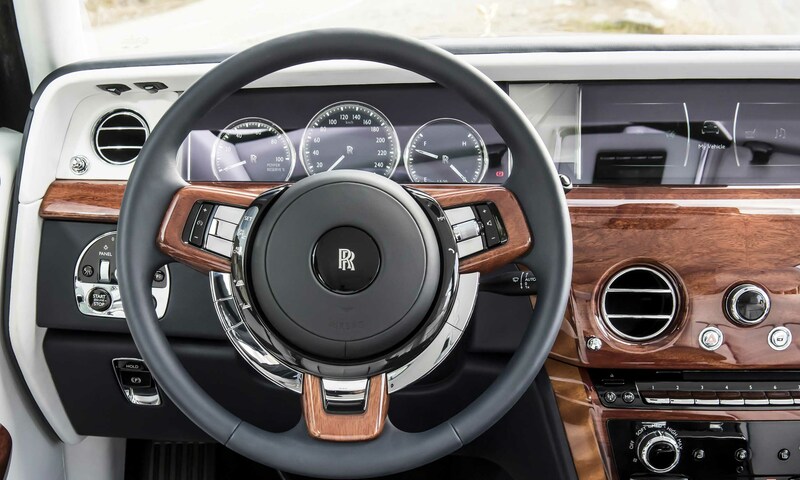 As well as the Phantom insulates passengers from the outside world, the interior experience is equally sophisticated from the driver’s seat. 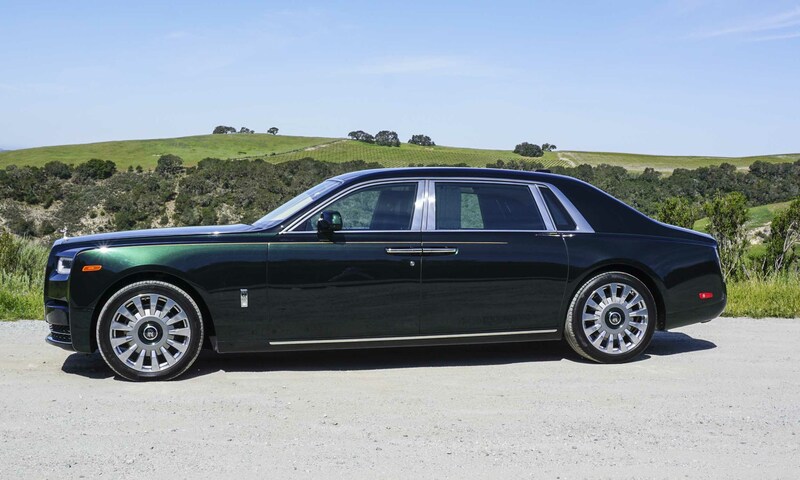 Our test car was a long-wheelbase model, painted to replicate Fred Astaire’s Phantom I with black over dark metallic green paint with green and yellow accent stripes, and a final price of $634,000. Our first drive was over Laureles Grade, a twisting road that climbs through the hills east of Monterey, California, from Highway 68 to a summit of 1,284 feet before dropping down to Carmel Valley Road. 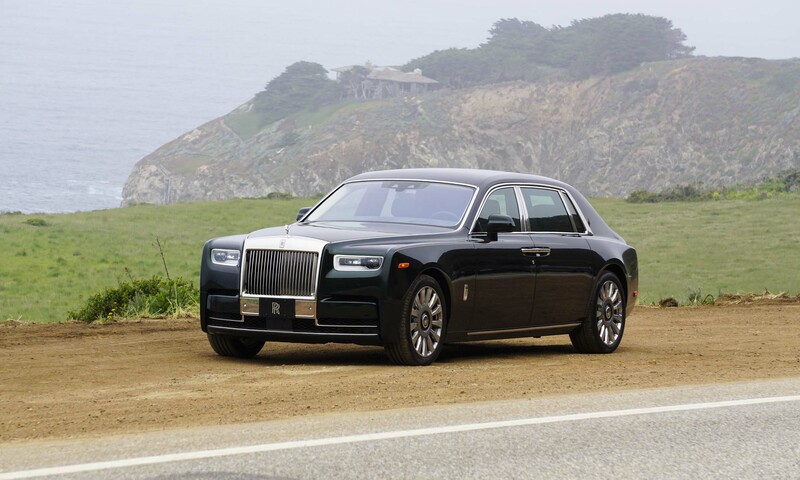 Climbing up the grade was the perfect way to sample the Phantom’s abundant power on tap at any speed, and when the road began winding, the responsive steering and air suspension were equally impressive. 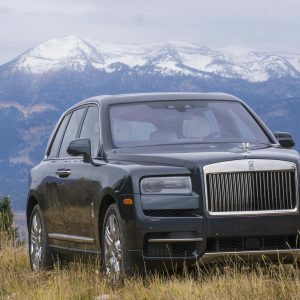 We’ve driven this road many times in sports cars and smaller sport sedans, and the Phantom handles the terrain extremely well with a light demeanor — notable considering the long-wheelbase Phantom weighs 250 pounds shy of 3 tons. Our Phantom drive continued from Carmel-by-the-Sea down Highway 1 toward Big Sur. Phantom does not offer drive-mode selection, sport mode or paddle shifters — just abundant power, all the time. 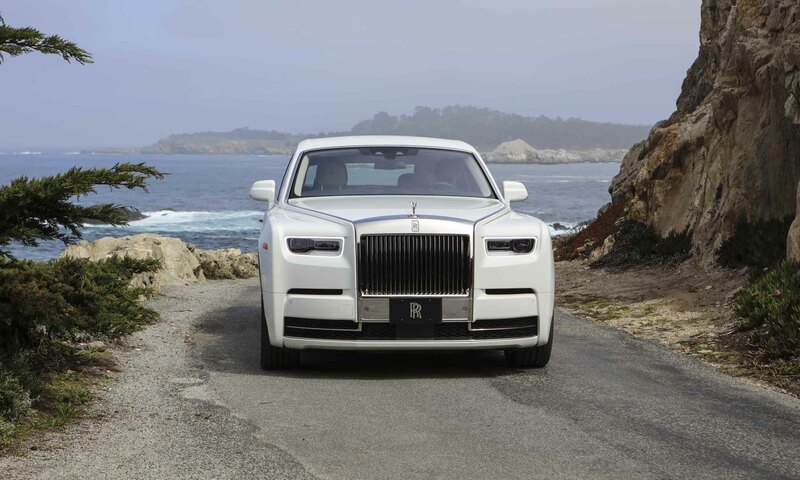 While this new Phantom is surprisingly agile on winding, hilly roads, it is equally enjoyable cruising the highway through Carmel Highlands and down the picturesque coast. 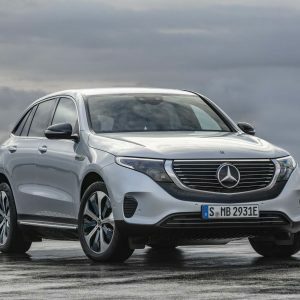 In terms of comfort, luxury and a smooth ride, the driver experiences the same magnificence as passengers, so the driver’s seat remains the best seat in the house. In place of a tachometer, Phantom’s instrument cluster includes a Power Reserve gauge — another nod to previous generations. 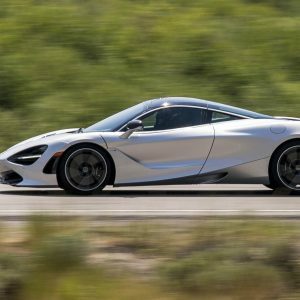 At idle, the Power Reserve needle sits at 100 percent; under acceleration it drops to a lower percentage, reflecting how aggressively the driver is accelerating. Push the accelerator to the floor and the needle drops toward zero, reaching zero as the engine achieves maximum power output. Successful entrepreneur, entertainment superstar or corporate CEO — only a select few will have the opportunity to experience this new Phantom. 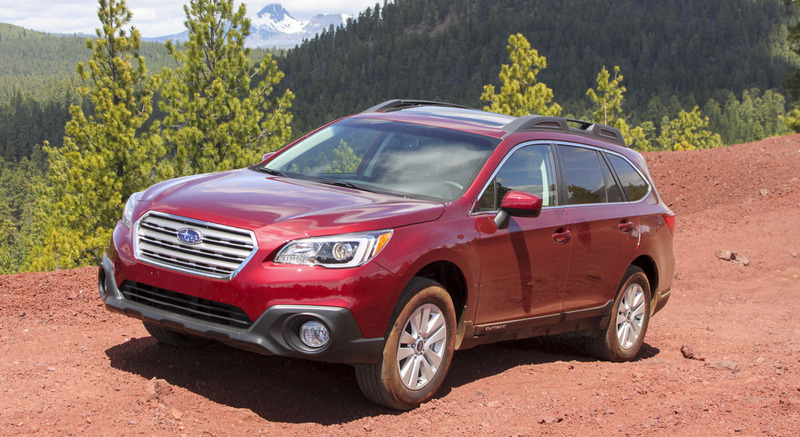 Admittedly, the pinnacle of automotive luxury — but is it worth the stratospheric price? The Phantom is more than just an automobile, it’s an experience and a statement about success, luxury and lifestyle. 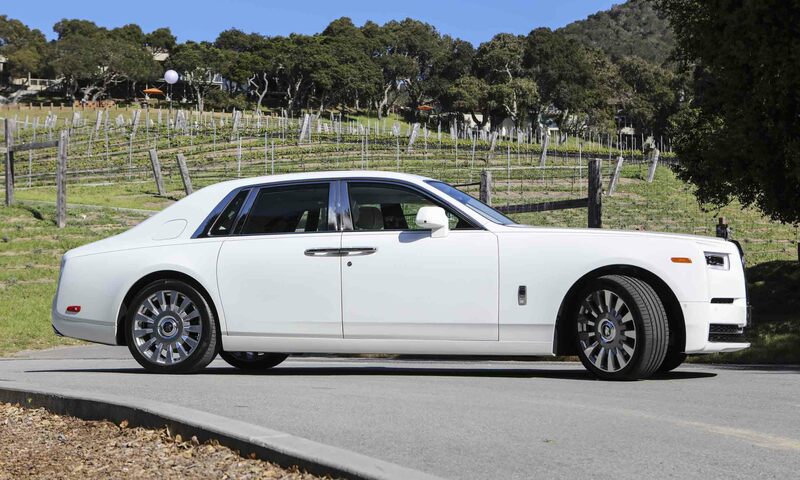 Phantom is more like collector art, vacation homes and private jets than an everyday car. 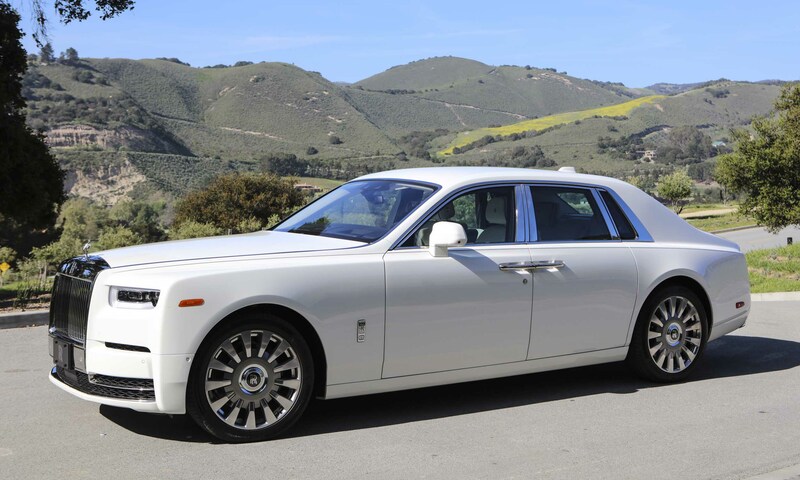 But if you have success, enjoy luxury and it fits your lifestyle, the Phantom is a prime way to experience the ultimate in a luxury automobile.